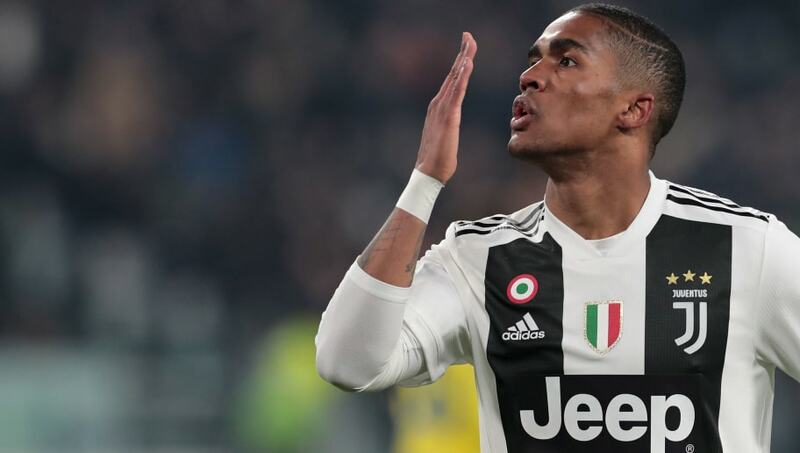 Tottenham Hotspur are considering a move for Juventus forward Douglas Costa following the Brazilian's mixed campaign in Turin this season. The 28-year-old has featured in 24 games across all competitions but he's only been able to make a fraction of the impact compared to last season, where he scored six goals and claimed an impressive 14 assists. Juventus would be willing to cash in on the former Bayern Munich star if a suitable offer comes in during the summer, but Calciomercato report that Tottenham could be playing into the Bianconeri's hands if they make an approach. That's because Juve's sporting director Fabio Paratici has been interested in bringing Christian Eriksen to Turin for some time and the Italian side could use Costa as a bargaining chip for the Dane. Eriksen has just over one year left on his current contract with Tottenham and many expect that the north London outfit will at least explore the possibility of cashing in on him rather than risk losing him on a free transfer in 2020. If that is a decision which they ultimately come to, then some kind of swap deal with Juventus which would see Costa move in the other direction could tick all the boxes for them. The Brazilian has never tried his luck in the Premier League before but he has a strong reputation following spells with Shakhtar Donetsk and Bayern Munich. Costa's 68 Champions League appearances throughout his career will also give Tottenham confidence that the forward could be a useful short-term fix to help take them to the next level.